Stay up to date on current events in Iraq. 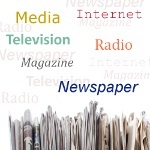 Media in Iraq links to Iraqi newspapers, magazines, radio stations, television channels and online news sources. English-language weekly newspaper published in Erbil, Kurdistan.